I'm still not sure about a couple of the areas, but within the confines of my stash I think I'm going to have to be satisfied. - There's a nice free quilt block pattern HERE for a really pretty dove. - Many of our summer tops and dresses have deep V-necks and perhaps you'd like to add one of THESE modesty panels. - For those of you who are working on making a hexxie quilt and like to carry along your pieces to work on, perhaps THIS little tote might be just what you need? - There's a free bag pattern HERE that looks intriguing. - Check out THIS for all sorts of free links to make fabric baskets. And while you're there, be sure to check out all her great tutorials HERE. - Have a look at the amazing embroidered houses found HERE. - THIS is something fun for your kids over the summer! - I know it's not Christmas yet, but perhaps you might like to file THIS idea away (and search for the 'ingredients' at yard sales over the summer!). - Have a look at the amazing work of THIS artist (scroll down). Another anonymous quote..."You can't let people scare you. You can't go your whole life trying to please everyone else. You can't go your whole life worried about what everyone else is going to think. Whether it's your hair, clothes, what you have to say, how you feel, what you believe in or what you have...you can't let the judgement of others stop you from being you. Because if you do, you are no longer you. You are just someone everyone else wants you to be"
Sometimes what you think will work, just doesn't. 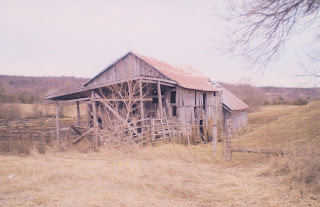 Over the weekend I worked at laying down the background for my next barn and it seems that some reversing needs to be done. I'm simply not happy with the sky area. It's too bright and it's too dark, both at the same time. I wanted to have some indication of a sunrise but the oranges and yellows are just too 'much' and the upper part of the sky is just too dark for what I'm planning to add later on. So.....it will be changing. Watch this space! 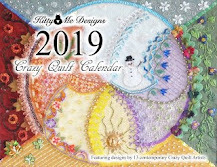 - Kathy Shaw has designed, and now has available, a wonderful looking set of seam treatment/embroidery stitch templates. Find out more HERE! - If you scroll down at THIS link, you will be able to download printable hexxie template patters in various sizes. And if you go HERE there are some handy tips for how to stitch with them. - While you're visiting the above tips, how about checking out the list of the rest of their tips found HERE. - If you go HERE, there's a link to a free pattern to use Kraft-Tex to make a wristlet (and if you look on the sidebar to the right you'll see further links to other patterns). Another anonymous quote..."I'm too busy working on my own grass to notice if yours is greener"
Eureeka!! Woo hoo, etc. etc. There's a solution to the comment issues in Blog-grrr!!!! Thanks be to Shez and her blog post found HERE. I followed her instructions and it worked!!!! Just be sure to follow all her steps carefully (there's one that has you saving what seems to be a blank, but do it anyway). - There is an ongoing series of wonderful floral blocks happening HERE (scroll down to the end of the post for links to the other flowers in the series). - If you plan do to some traveling, perhaps you'd like a cover for your passport. The tutorial is HERE. - If you have kids that are looking for ideas for what to make with Lego, how about THESE? - There's a good article HERE on how to grow orchids. - If you have access to wooden pallets, perhaps some of the ideas HERE might be interesting. Today your quote is another anonymous one..."The problem with the world is that the intelligent people are full of doubts while the stupid ones are full of confidence"
Don't forget, check back here for responses to your comments! This is a project I've been working on sporadically over the past few months and I've finally managed to get a finished flimsy. It takes awhile to collect up enough action figure t-shirts to make a quilt!! Our oldest grandson has graduated to a 'big boy bed' so I thought he'd like a 'made-by grandma' quilt. I'm definitely NOT a sane quilter so there are lots of things I could have done better, but it's made with love and that's what counts I think. Still have the back to complete and then it's off to the longarm quilter so it will be done in time for Christmas. - There's a cute tutorial HERE to make pincushions using mini-charm packs (altho' I'm sure you could use your own scraps too!). - THIS cross-stitch kitty made me laugh! - THIS is a rather cute knitted slipper pattern you might like. Another anonymous quote for you..."Never organize what you can discard"
I'm back! DH's medical tests are done for now and we can actually spend some time at home, which means I can return to stitching and blogging! spine of the needle book. Another thing that will be added to the gift box! - THIS would look so pretty on so many different things! - There's a tutorial HERE for binding angled corners. - I don't often send you to have a peek at a commercial link, but you have to see THIS!!!!! Can you imagine making it?? - If you happen to have a bowling ball (or two) lying about....and you do, don't you?.....perhaps you will think THESE are fun. They made me smile! - Have a look at the work by THIS artist. Wow!! - THESE are beautiful crocheted flowers that would be perfect for many different applications. - Oooooh - have a look at THIS blog!! Be sure to scroll down. Adorable-ness from start to finish! - I like THIS idea - another thing that would be a great stash buster AND make great gifts as well. - There's a whole lot of quilting tips found HERE and I also came across a great cheat sheet to help you work out quilt sizes HERE. 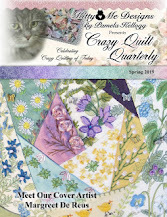 And if you're looking for different ideas for backing a quilt how about one of THESE? - Perhaps your kids might be encouraged to read if they had THIS cute bookmark? - THIS is one of those things that sort of make you say 'awww' - and maybe want to make one? Another of the anonymous quotes for you..."A strong person is not the one who doesn't cry. A strong person is the one who cries and sheds tears for a moment, then gets up and fights again"
Just a reminder that, for the present, I will be responding to your comments directly here on the blog. Word has it that Google/Blog-grrr is working on it and should have it fixed soon. Yeah, I know - pretty boring huh!! And, to make matters worse, I might not find time to do any posts next week. DH is having a bunch of medical tests (don't worry - nothing drastic) and it means we'll be gone for three days next week for those - plus we have to take my friend for HER medical test and that will take up another day. So....if you don't hear from me, don't worry - I'll post if I can. I can already feel a case of serious stitching withdrawal coming on!! - There's a free Father's Day crazy quilt block pattern HERE. - Sometimes the simplest things are the best and THIS certainly fits under that category! There are so many variables you could come up with to suit any of your storage needs. - THIS is another of the interesting artists that I've come across. - And THIS is another artist that works with found photos. While you're visiting there, be sure to check out her other galleries. Fascinating work! - I normally don't give you links to something that I can't locate the actual source, but I am doing an exception for THIS. It's an 'inspiration-only' quilt but I love it! If any of you can give me further information on the artist, I will happily update this post to reflect that info. Today's quote is from Oprah Winfrey..."Do what you have to do until you can do what you want to do"
Just a wee reminder to you that at least for now I will be replying to your comments directly on this blog and not through email as previously done. I have it on good authority that Google is working on the problem and hopes to have it resolved shortly. Yay!! I just finished working on a new tote bag. Nothing, in itself, is the least bit exciting about that....but I DID have to come up with something to post about! This one is made using recycled denim and lace from my stash. The denim is some that I discharge dyed many moons ago and had been lurking in my stash. - Further on the tote bag theme, there are lots of free pattern links HERE. And there's a cute small tote bag link HERE. And to another one HERE. - Kathy Shaw has opened registrations for her latest FREE online class...ICQC-104-Advanced Motifs. You can find more information about that in her post found HERE (but hurry, because it's only open until midnight tomorrow!!). - THIS is a really cute sock raccoon pattern! - If you are interested in embroidering a realistic looking bird, have a look HERE. - Free pattern HERE for a fabric wallet if you happen to need one. Another anonymous quote for you...."My wish for you is simple. Have the best life imaginable, live like you will never grow old, laugh, giggle, cry if you must. Play as hard as you work, make time for people and things you adore. When you sleep I hope you have the best dreams that will make you wake up with a smile on your face. And that you always know that you are loved. That's my wish for you"
If you are interested in seeing more of the ledger I originally did, you can find the first post about it HERE (and if you want to know more, if you click on the 'journals' topic in my sidebar it will take you to more posts (you'll have to scroll down). - THIS is a sweet knitted sweater for a little girl. - If you'd like to try covering plastic coat hangers with crochet, have a peek at THIS. I think I'd prefer to use wooden hangers if I could because plastic does tend to break after awhile. They would make great gifts though! - THIS is a really intriguing idea for consistent blocking of afghan squares. I think I'd be tempted to use dowels though, simply because they're a little more sturdy. - The San Francisco School of Needlework and Design has unveiled their latest online show with the theme 'A View From My Window'. Go HERE to see the amazing works of art! Their current challenge theme is 'Burlesque' and I know the entries for that will be fabulous too. You can find out more about the SFSND by visiting THIS link (they have a really interesting newsletter too). 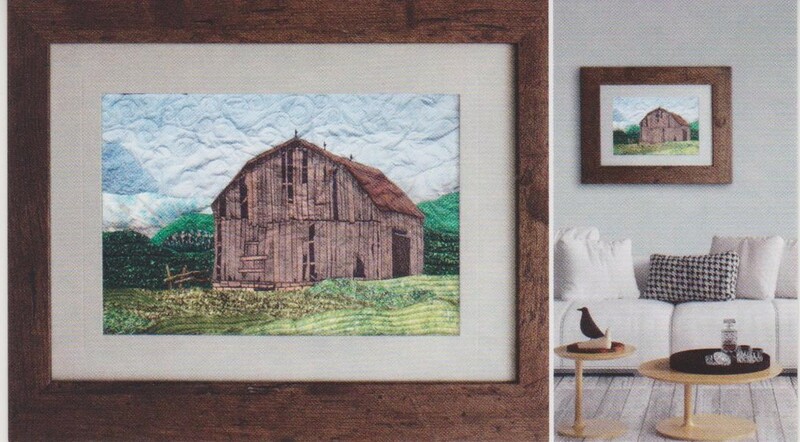 - Have a look at the amazing fiber art by THIS artist! And THIS one too!! - I'm not a hat person, but I know a lot of you are so perhaps you might like THIS crochet pattern. Another anonymous quote..."The problem with the world is that the intelligent people are full of doubts while the stupid ones are full of confidence"
......a return to the regular mumblings that you have grown accustomed to here at Chez Magpie! (although - I'm still waiting to get the ability to reply to comments sorted out and hopefully when all the dust settles things will return to normal). For the foreseeable future, please check back to your comment on my posts and I will respond to you there. If things change, I'll let you know. Thank you Becki!! This little bag, measuring approximately 5x9") was crocheted by my maternal grandmother. It's lined with a pink linen fabric and is made using crochet cotton. I have no idea what she might have used it for, although the size suggests that it might perhaps have seen use as a purse at one time. 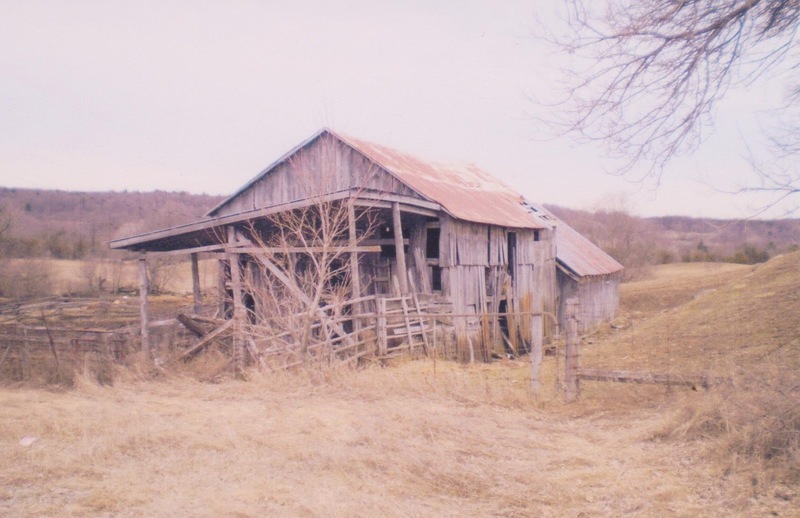 - Those of you who are taking pictures of your work for show entries, or even if you want to improve your photos for use on your blog, perhaps you might find THIS article of interest. - There's a tutorial HERE for making luggage tags (stash buster?). - THIS is a really cute crocheted summer cardigan pattern. - Have a look at the amazing work by THIS artist! - There's a great tutorial HERE for ensuring that you obtain that perfect, but often elusive, 1/4" seam. - Go HERE for a link to the pattern for a really pretty summer shawl. The quote of the day is from Dr. Seuss..."Sometimes you will never know the value of a moment until it becomes a memory"